This fragrance was created by a renowned perfumer. Her perfume has a sweet fragrance. The aroma of meat pie is adrift. This wine has an especially sweet aroma. These characters express the aroma produced at the first brew of tea. I felt sick from that perfume. He accurately guessed the perfume she was wearing. 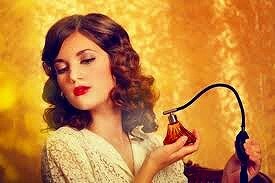 It takes a marvelous sense of smell to tell one perfume from another.